Every day I am rewarded by the number of people who read my posts. 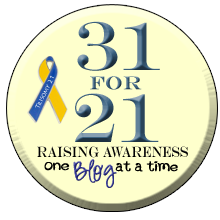 I am thankful my experience of the mother of an extraordinary teenager can perhaps help others. I have been told a number of times there are lots of stories about younger children with down syndrome but not as many about teenagers. 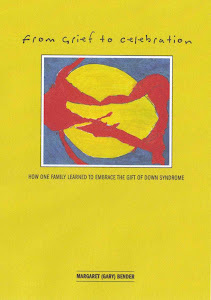 In honor of Down syndrome awareness month I will be publishing excerpts of each verb/chapter for the next 12 days and give-away three copies of the book, signed by Alex, at the end of the month. Our daughter Alex was born three weeks early on Saturday, June 19, 1993. She weighed less than 6 pounds and measured 17 petite and perfect inches. I fell in love at first sight. Alex entered the world my favorite color, turquoise blue, her umbilical cord wrapped around her neck. Her Apgar score was low, so we only had a few moments with her until she was rushed to the neonatal intensive care unit at the hospital. In the moments before she was whisked away, I saw that she had a partial head of black hair, ten beautiful fingers, ten beautiful toes, and the tiniest ears I had ever seen. My heart sank at the thought of her requiring extra medical care. The doctor assured us she would be fine, but I didn’t believe him, as the sound of the room going eerily quiet when Alex’s head emerged from the birth canal still rang in my ears. In an attempt to quash the fear that was rising up from my stomach, I asked the nurse if something was wrong. Her hesitation spoke much louder than her minimal words of comfort. As soon as I could gather enough strength after the delivery, my husband John helped me shuffle down to the NICU. I felt a surge of adrenalin coupled with fear. Will Alex be okay? What’s wrong with my perfect baby? Why did the mood in the delivery room resemble a funeral parlor instead of the party-like atmosphere that was present after the birth of my firstborn just 15 months earlier? It was a sense of dread I had never experienced. Blogging the beginnings. Its so much fun to read all the birth stories!